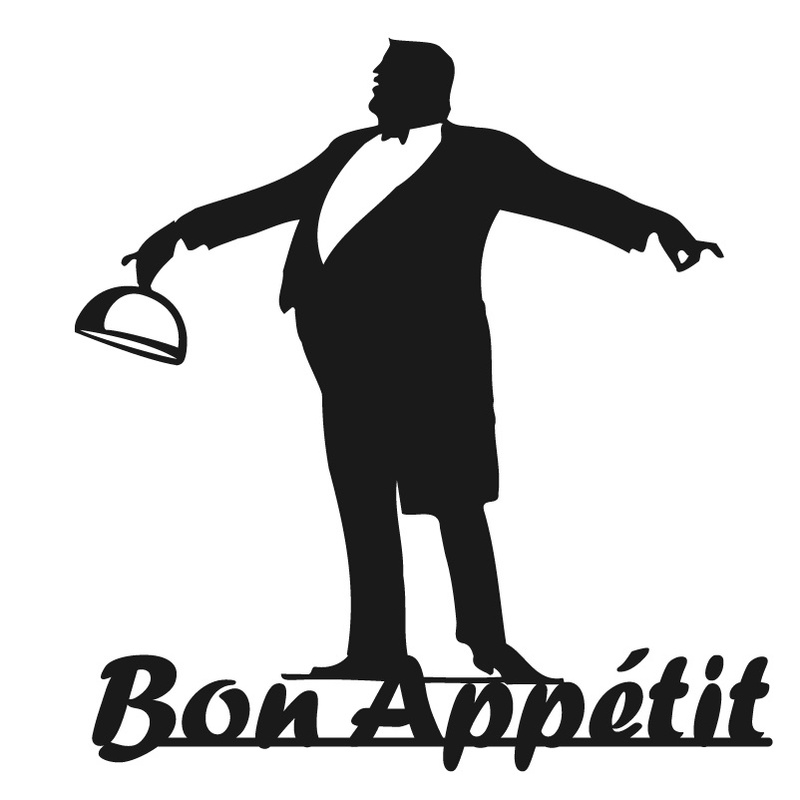 It’s always good when a new locally owned restaurant opens in my neighborhood. 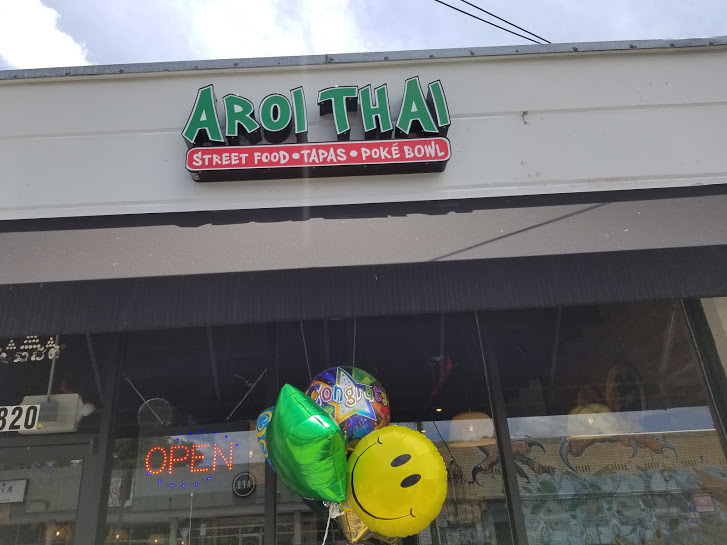 So when I saw Aroi Thai opened its doors, I was there and been back on several occasions since. The new owners are amiable, and the staff is equally so. They have created a warm space with lite jazz tunes playing in the background. On the maiden voyage, we just scratched what was available on the menu, which offers street food, tapas and poke. 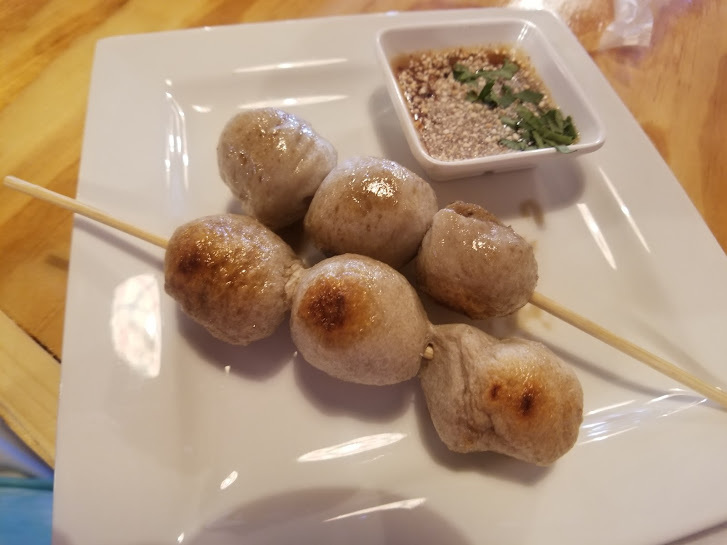 We opted for a little from each category, starting with the Thai Grilled Meat Balls. The pork meatballs served with chili sauce. Tasty but a little bland for me, next time it will be the beef variety. The star of the Tapas menu for me was the Jalapeno Rock, the presentation was quite eye-catching, and if we indeed eat with our eyes first, it was doing what the chef intended. 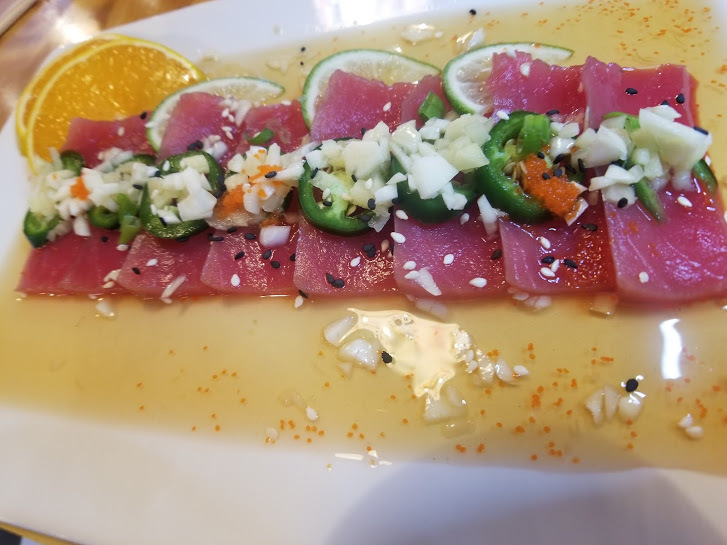 Fresh sliced tuna, dressed in fresh ginger, garlic and jalapeno slice, with a side of ponzu sauce. It delivered on every level. We then moved into the Street Food favorite’s portion of the menu where we opted for the Pad Kee Mao, (Spicy Basil Noodles). Flat noodles; blended with egg, onions, scallions, snow peas, carrots, celery in a smooth brown sauce. We asked for a bump up in the heat index, and the chef gladly obliges us. Vegetables were firm and identifiable with each bite, the taste of basil delivered as well. 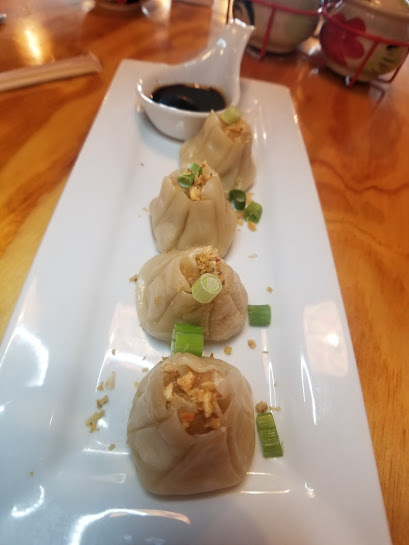 I for one will order this dish again. Although we knew better, we delved into the Signature Bowl offerings, for a reasonable price of $12.50. 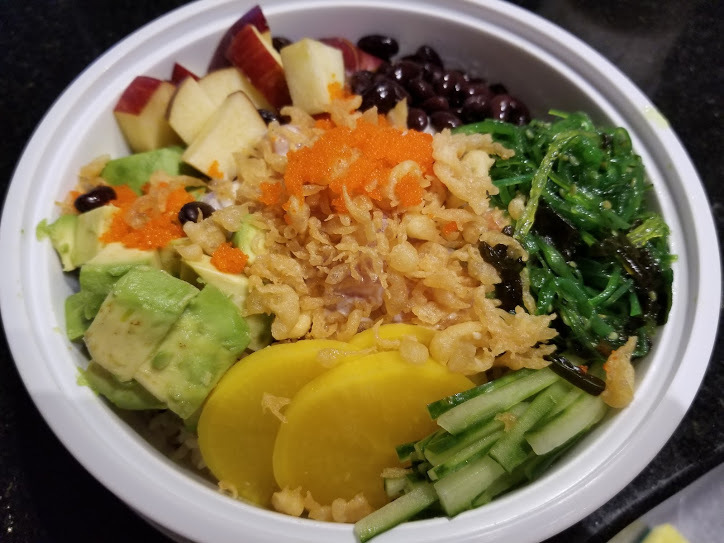 We flipped a coin, and my friend won, so it was the Bad Boy Bowl; a mix of tuna, salmon, spicy mayo flakes and topped with mixed vegetables. I was gobsmacked by the versatility of the components; the fish fresh chilled, most tender, fresh veggies and a bottom layer of flavorful rice rounded out this dish. In the beverage department; a selection of local and imported beer, wine and my favorite Thai Tea, plus a variety of soda. As I stated, I had been back to eat in and take out at least a dozen times. 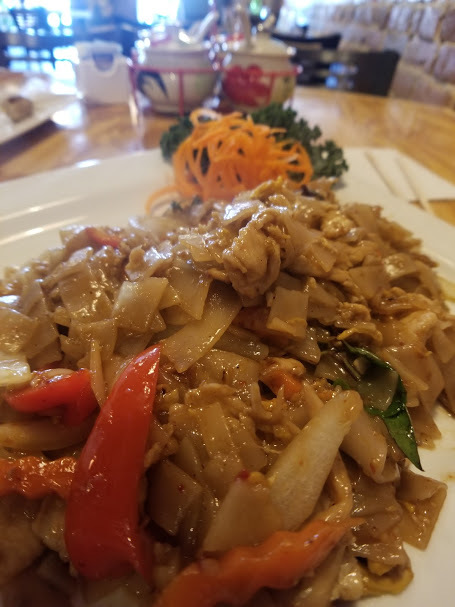 It’s a much-needed and welcomed addition to a neighborhood that offers a wide variety of cuisine types, Aroi Thai fills the Asian/Thai gap, and it does it quite well.